Top Notch Lawyer! If you are in the unfortunate situation of being charged with a DUI (and doubly so in a case like mine where you made the terrible choice to drink and drive for a “2nd time”), you need not look further than Harold Wallin as one of the best choices for an attorney to represent you. I admit that after he cleared me completely of a DUI conviction several years ago, I was dumb enough to let it happen again in my life. That being said, I did not even think twice about hiring Harold immediately with my second DUI charge. Right away he was able to save my license from being suspended for six months under the Statutory Summary Suspension. Now being that I had tested a little over .08 BAC this time (and again that it was my 2nd time being charged), I knew this likely was not going to have the same outcome as my 1st case. But in the end Harold was able to have my case reduced to a reckless driving charge with the 12 month supervision period. I do strongly feel that I may not have had such favorable results with a different lawyer. Harold is a quality and affordable attorney who knows all the ins and outs of the legal system. He is very prompt, courteous, and treats his clients with utmost professionalism. From my experience I can definitely say that you are in great hands with Harold Wallin. The Right Man for the Job: Harold handled my case expertly; every recommendation he made had a positive impact on the result. When the prosecutor even points out that, “you hired the right attorney,’ you know you are working with an experienced and savvy counselor. He was responsive to all communication and led the proceedings to the best conclusion as we set out the defense. I won’t be hiring him again, but only as I have no intention of having this happen a second time. However, I would make Harold my first choice if I was in need. Hands down, a superb job by a calm and confident attorney. 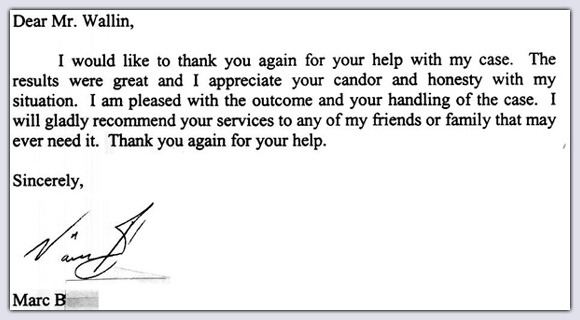 Excellent Attorney with Great Experience: Attorney Wallin was very straight forward. He illustrated each possible outcome for my case. We went to court, the attorney reviewed a video with the Judge and prosecutor of me being pulled over. The attorney proved beyond a reasonable doubt that I was not impaired to operate a motor vehicle. I had a rare case. We went to trial the same day as the initial court date and I was found not guilty. I did not get my license suspended. I was not found guilty for driving under the influence. I thank God for blessing me with such a great attorney. Attorney Wallin is knowledgeable, thorough, and the quintessential law expert. Harold was my lawyer for my first DUI, which I clearly deserved in my mind. He explained everything clearly to me and helped me make the best decision. I plead guilty and received supervision. When I received my second DUI, I went to see Harold, as well as 8 – 10 other attorneys. I wanted to find the best overall attorney, because I had to get this off my record or I would not only lose my driver’s license, but also my career. I chose Harold not only because I had worked with him before, but because he told me everything all those other attorneys had said combined. He charged a fair price, where it seemed some others take advantage of the position I was in. Once the case started, Harold explored every possible avenue to get the case dismissed. The whole time, Harold was very professional, answered all my calls and emails in a timely manner, and kept me well informed of the situation and my options at the many stages of the process. He won’t give you false hope, he will tell you the truth. He is practical and trustworthy. After 2 1/2 years of working the case, we finally went to a jury trial. At trial, Harold was excellent. He paid close attention to the details other might have missed. It seemed like we were fighting an uphill battle, not only against the prosecutors, but against the judge as well. Harold remained calm and said and did everything he could. Words can not express how thankful I am that I had Harold as my lawyer. His knowledge and experience made a big difference in my case. I highly recommend him to anyone with a DUI or criminal case. First, I would like to say that Harold is the best DUI attorney in Chicago who also charges a fair wage. Most DUI attorneys charge a lot more than he does for services that are half as good. Harold knows the law, is very responsive, and has a calm/cool demeanor in court. I would recommend him in a heartbeat to my best friends, family, and acquaintances. In addition, Harold represented me in a Secretary of State hearing to get my license back after my second DUI. Years prior I tried earn my license back myself, I was denied. Harold’s expertise and experience were vital to reestablishing my driving privileges. Most recently, I was pulled over and charged with DUI for a third offense. I was under the legal limit (.056), and Harold had the case dismissed on the bases that breathalyzers are not calibrated enough (accurate enough) to determine the difference between .056 and .050. I can’t explain the law works or exactly how he got my case dismissed (many other factors as well), but the State failed to prove that I was intoxicated. Finally, I am extremely happy with his services. He is representing me in other (related) criminal matters as well, and I’m equally as pleased. However, I have come to the conclusion for myself that if I want to stay away from legal problems I need to change my actions. 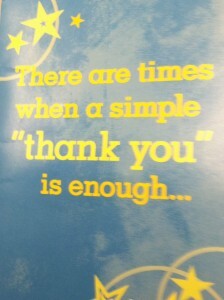 I am currently working on complete sobriety through AA which is changing my life for the best. It is definitely helping me to avoid and resolve other legal matters as well. DUI Charges Dropped: If anyone has been charged with a DUI they know how within the first few weeks your mail will be flooded with advertisements for DUI lawyers. This is a serious charge with expensive consequences and choosing a lawyer is not an easy process. I was fortunate enough to have been referred to Mr. Wallin by my State Farm agent but for anyone else let me save you a search. Mr. Wallin exceeded all my expectations. His over two decades of experience in this arena does make a difference and he consistently provided me with accurate information about the charge,knowledge about the BAC test, the most recent laws regarding these types of cases and as to what to expect at each court visit. These cases are not usually resolved within in the first few court dates and this can create a lot of anxiety and “noise” from friends,relatives and others concerned about the outcome. Every single thing Mr. Wallin explained was verified and at these court dates there is little room for your lawyer to actually “argue” or “state” anything but when the date finally came that he could …Wow did he….He stated all the facts articulately and in such a manner that created a situation where the judge had a reason to agree and the prosecutor had no reasonable rebuttal and so had to dismiss the case. He was very ready to take this to trial and even had found a favorable witness who was gonna to testify on my behalf. This attention to detail and type of representation is Extraordinary and Exemplary and I feel absolutely confident that Harold Wallin will be your best choice for an attorney should you be facing what I was. An Extremely Amazing Person: I simply cannot say enough good things about this man. He not only is a good lawyer but he truly does care about his clients! 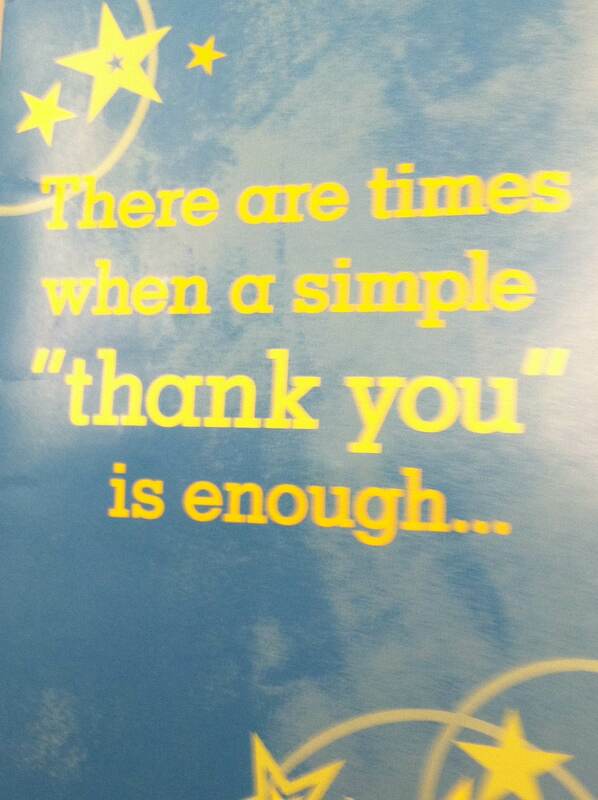 He has helped me twice so far and hopefully I wont need him again but if I ever do I will definitely call him again! Harold is an honest and aggressive DUI Lawyer: I just got home from court (2nd court date) and now feeling like myself again because Harold just got me out of a DUI (my first and hopefully only). Like anyone who’s been charged with DUI, I was scared and humiliated. After two days of shopping around for a good and affordable DUI lawyer, I found Harold online and read all of the reviews about him. I decided to give Harold a call based on the positive reviews and after our consultation I hired him, all the while not really sure if I had gone with a ‘good-enough” lawyer to get me our of my DUI (I don’t believe anyone could be sure in this type of situation until court has taken place). Harold was not only honest and straight-forward, he KNOWS what he’s doing. My case went to trial because Harold believed I had a good chance of having the DUI charge dropped. I’m so glad I took his advice. Harold was swift and effective while cross-examining the officer during trial. His series of questions to the officer truly impressed me and effectively gained the answers that worked in my favor from the police officer. I was blown away when the judge said “Not Guilty” on the DUI charge. The only two charges I was found guilty on were ‘Improper Lane Change’ and ‘Failure to Signal.’ I am elated and feeling like a ton of weight has lifted off my shoulders. The ordeal is over and I can be myself again! 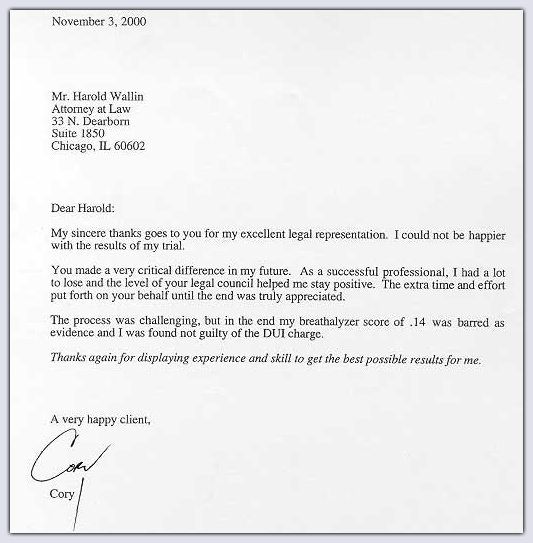 Thank you so much, Harold, for your excellent expertise as a DUI lawyer! 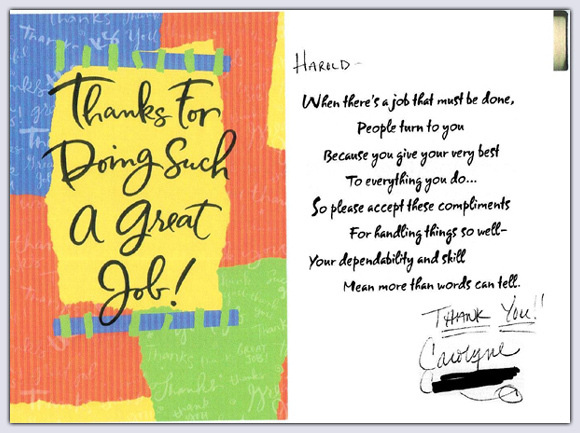 Mr. M. sent this Thank You card after Harold Wallin obtained a dismissal of his case by convincing a Cook County judge that the Chicago police officer that made the arrest had improperly stopped and detained Mr. M. without sufficient reasonable suspicion. Mr. K. was arrested two times for DUI within a short period. He would lose his job if he was convicted on either one. Mr. Wallin obtained dismissals on both cases. Client Tim was arrested and charged with a DUI. If he were found guilty, he was facing a revocation of his driving privileges. The judge found Tim not guilty of a DUI and his license was saved. 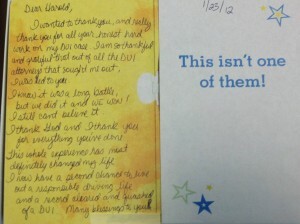 Client Hank contacted Mr. Wallin after he had lost his license due to a DUI conviction. Hank had moved to a rural area where he needed driving privileges in order to work. Mr. Wallin represented Hank before the Secretary of State and obtained full reinstatement of Hank’s license. 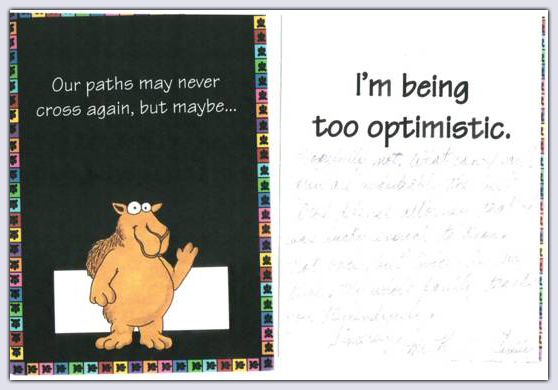 Client Jerome believed that he was stopped and arrested for DUI for no reason. Attorney Wallin challenged the basis for the arrest and the Court ruled that Jerome was stopped illegally, and the case was dismissed. 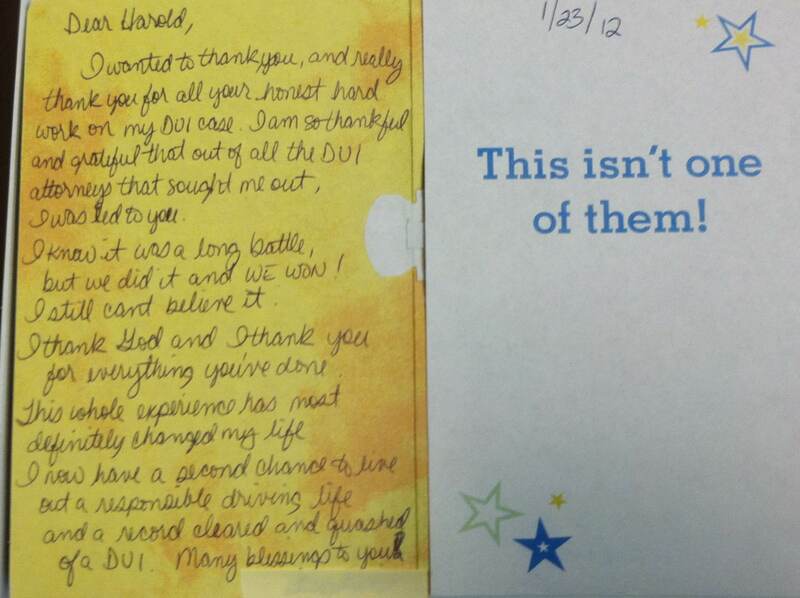 Client Carolyne C. was arrested for her second DUI only a few months after pleading guilty to her first. She was facing an automatic three-year suspension of her driver’s license, and further revocations upon a conviction. Mr. Wallin obtained a rescission of her suspension, and dismissals of both her new DUI charge and the violation of her DUI supervision. In the end, Carolyne was able to walk away without any significant penalties and in possession of her driver’s license. 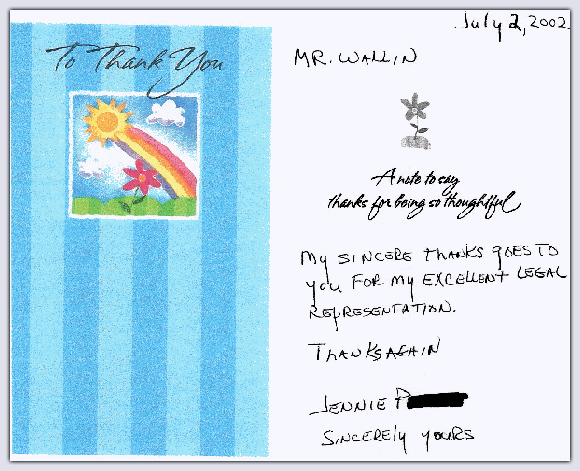 Client Jennie P. sent Harold L. Wallin this thank you after she was found “Not Guilty” of Driving While Intoxicated. Read about her case here. Client M.C. 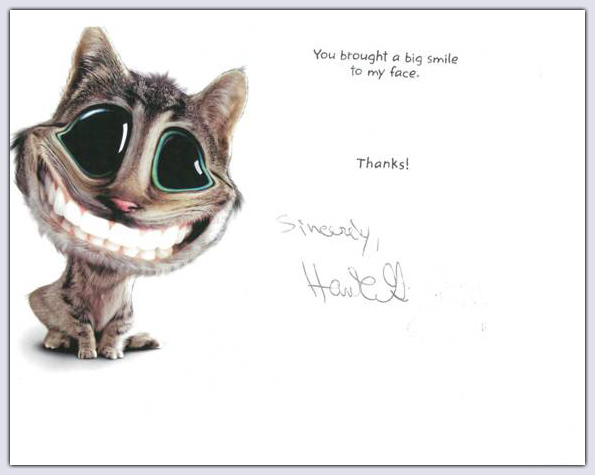 sent Harold L. Wallin this thank you after he got her statutory summary suspension rescinded. 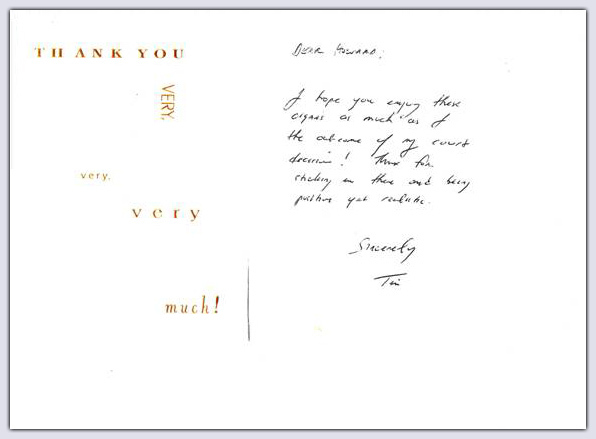 Marc sent this thank you letter after Harold Wallin was able to get his three year statutory summary suspension rescinded and his DUI case dismissed. 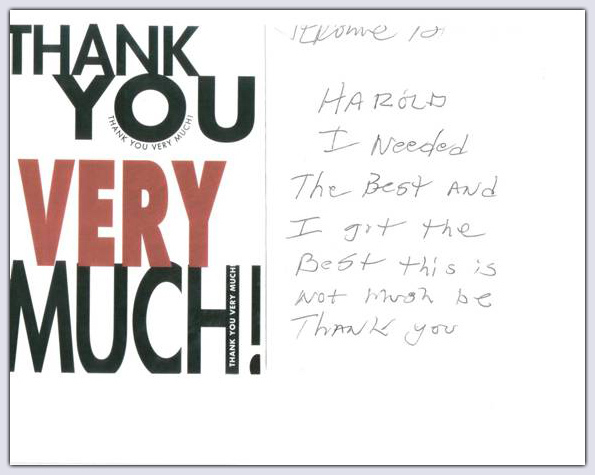 Corey sent Harold Wallin this thank you message after being found not guilty due to a faulty breath analysis machine. Mr. H. won his case after the state dropped all charges due to an illegal arrest. This letter was written to Harold L. Wallin to thank him.